It’s so easily done, you put your phone down, then you walk around a bit more, put your car keys down, and they’re lost. You can’t work out where they are, and eventually you decide to get your car keys replaced. 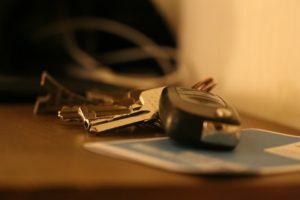 Now, there are a few things to keep in mind when going for car key replacement, and it’s not as straight forward as it may seem. Smart Keys: This is a type of car key that can unlock the car just by you being near it, and the systems they use vary, depending on what type of car it is or who made it. Key Fobs: These are another type of wireless car key but probably one of the least secure. They rely on radio frequencies to unlock the car, and are increasingly being hacked or copied by thieves, if you are not using a rolling code that change with every transmission. Typical metal keys: These are still very secure, and for most people a traditional metal car key is more than secure enough. Transponder keys: These are probably the most secure because they’re paired with your car digitally, so if you lose or replace them you can pair the NEW key to your car, to prevent your old key being able to unlock your car, if someone finds it. So you need to determine which type yours is (or was!) and consider how secure it would be to get a copy made. If you had a metal key, for example, if you just got a new key cut for your existing lock, then whoever finds the old key, could open your car. It’s not a huge risk, but the risk is there. The risk is higher with certain types of digital keys that can just be pointed at a car park full of cars, and the thief just goes to whichever car beeps when he/she presses the digital unlock button. How easy is it to get your car key replaced? The actual process of getting your car keys replaced is fairly simple, you need to determine which type of key it was, bring the exact make and model of your car to the locksmith, and once they’ve sorted everything out for you, test the new keys to make sure they work. Depending on your budget, you might want to also get an entirely new lock fitted on the doors. Once you’ve determined which type of key you have and how you want to get it replaced, you should call someone. This will either be a locksmith or the car dealership, and it really depends on how you bought you car. For example, some cars and finance plans include free car key replacement services for the first year, but others don’t. Generally speaking, calling a reliable locksmith in your area is the best bet. And this is because of a lot of reasons. A local locksmith is known and thrive on local references. A local company will always focus on building a solid reputation and not risk it by doing shoddy work. They will provide 24/7 assistance with any lockout scenario, something you terribly want when you want to get back in the house or vehicle as soon as possible without wasting a minute. With your local locksmith like Racine’s Lock & Key, you don’t need to get your car towed to the workshop or wait for the night to pass when the shop is open. We are available 24/7 to send our best technician to help you out in the time when you need urgent help with lost or misplaced keys, locked doors, broken locks and faulty ignition locks. We offer commercial, residential, automotive and emergency locksmith services in Racine and nearby areas, in time and at affordable rates.